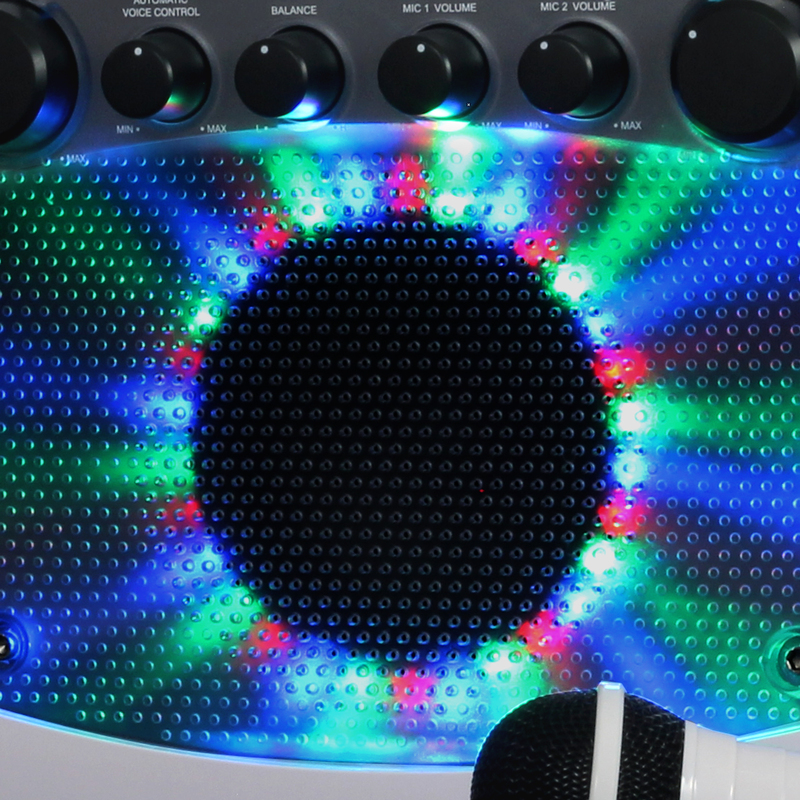 Kids and adults alike are always looking for an entertaining evening. Imagine how it would feel to grab your family, friends, and the KN355BTA Karaoke Machine and act like rockstars. 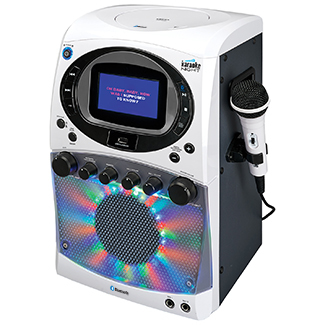 Our exclusive Karaoke Night brand Karaoke Machines are feature-packed and there’s even a 20 track Karaoke Night CD+G demo disc featuring hit songs from well-known artists. 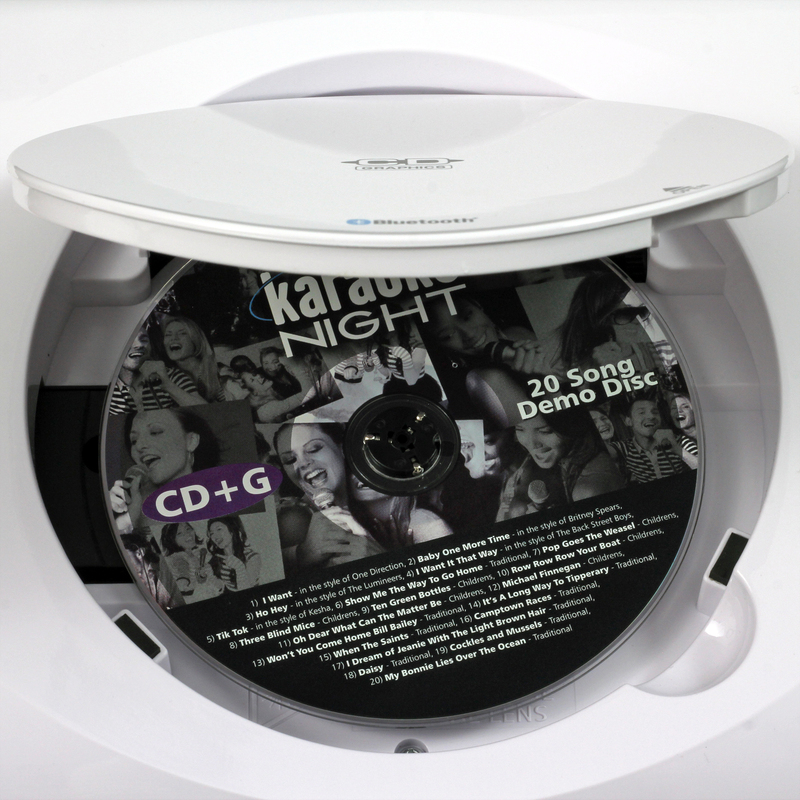 The CD+G karaoke system allows you to constantly add music to your Karaoke Machine’s library, and the beautifully styled Karaoke Night system with LED Light Show was designed to have you performing your first solo within minutes of opening the box thanks to its 5 inch lyrics screen. 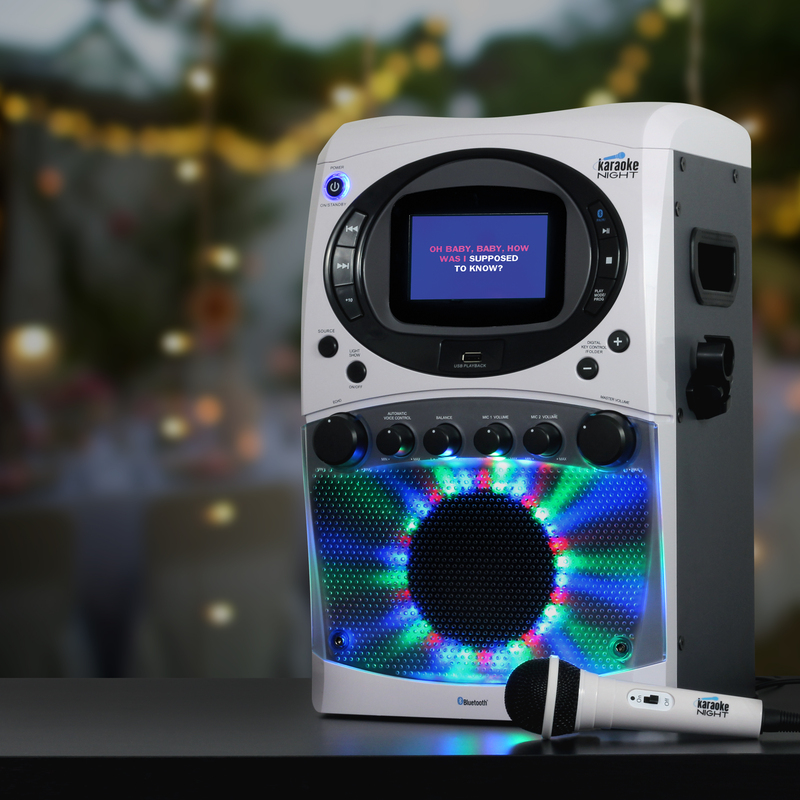 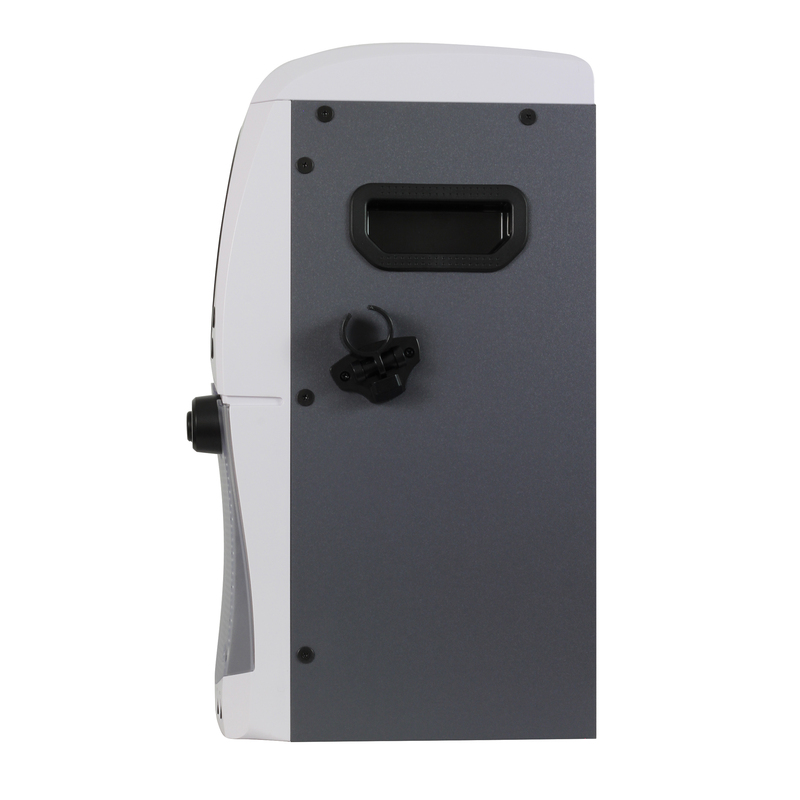 What’s more, with a CD+G Karaoke Machine like the KN355BTA you can pump up the volume really loud to reach the entire Karaoke Party.